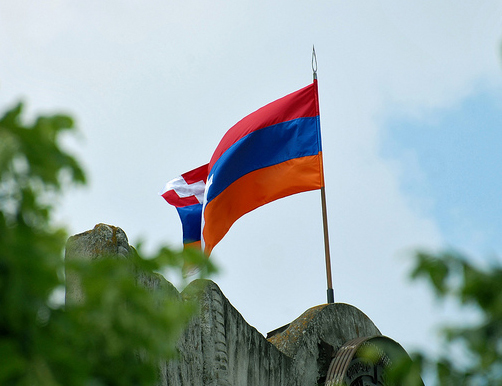 The Louisiana State Senate adopted a resolution, yesterday, saluting the Nagorno Karabakh Republic’s independence and urging the U.S. President and Congress to support the self-determination and democratic independence of this developing democratic state, reported the Armenian National Committee of America – Eastern Region (ANCA-ER). The resolution goes on to call on the President and Congress to “support the self-determination and democratic independence of the Nagorno Karabakh Republic and its constructive involvement with the international community’s efforts to reach a just and lasting solution to security issues in that strategically important region.” The complete text of the resolution is provided below. To express support for the Nagorno Karabakh Republic’s efforts to develop as a free and independent nation. WHEREAS, since proclaiming independence, the Nagorno Karabakh Republic has registered significant progress in democracy building, which has been most recently demonstrated during the July 19, 2012, presidential elections that were assessed by international observers as free and transparent. THEREFORE, BE IT RESOLVED that the Senate of the Legislature of Louisiana hereby encourages and supports the Nagorno Karabakh Republic’s continuing efforts to develop as a free and independent nation in order to guarantee its citizens those rights inherent in a free and independent society. BE IT FURTHER RESOLVED that the president and Congress of the United States of America are hereby urged to support the self-determination and democratic independence of the Nagorno Karabakh Republic and its constructive involvement with the international community’s efforts to reach a just and lasting solution to security issues in that strategically important region. BE IT FURTHER RESOLVED that a copy of this Resolution be transmitted to the president of the United States, the secretary of the United States Senate, the clerk of the United States House of Representatives, and to each member of the Louisiana delegation to the United States Congress.